This is great (albeit somewhat cheesy too), part 1 of a video series showing to operate and program a DEC PDP-11 minicomputer. The other parts of the series are accessible from the end of part 1. A couple of Class 47s (Duffs) travel through Lapworth. 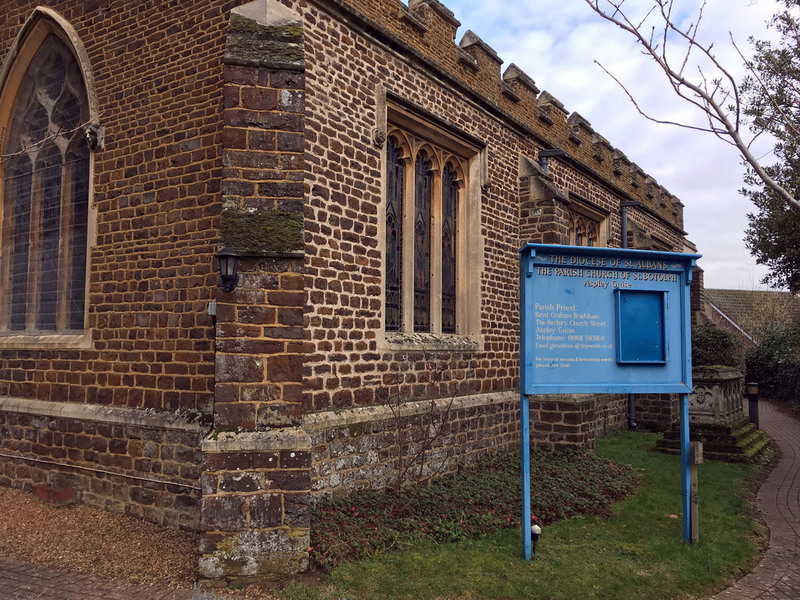 There has been a church in Aspley Guise since Saxon times, the church of St Botolph (a seventh century Anglo-Saxon abbot and scholar) dates from the early thirteenth century at least with the first record of the church dating from 1223. The church was extensively reworked in the early nineteenth century. The church is made from ironstone with ashlar dressings, the tower from limestone rubble. 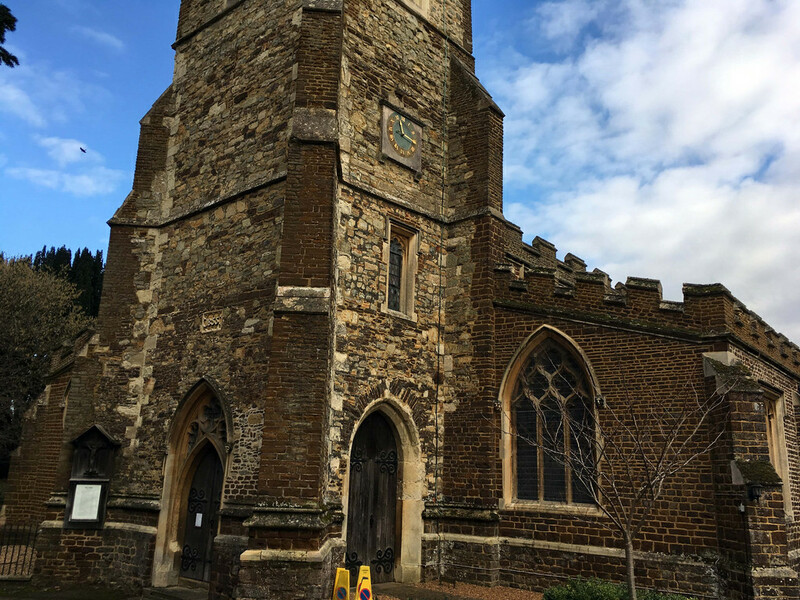 The church tower dates from the fifteenth century at least and has a clock that dates from then too. The oldest monuments in the church date from the 1400s including a tomb effigy though to be of Sir William Tyrington who died in 1400. 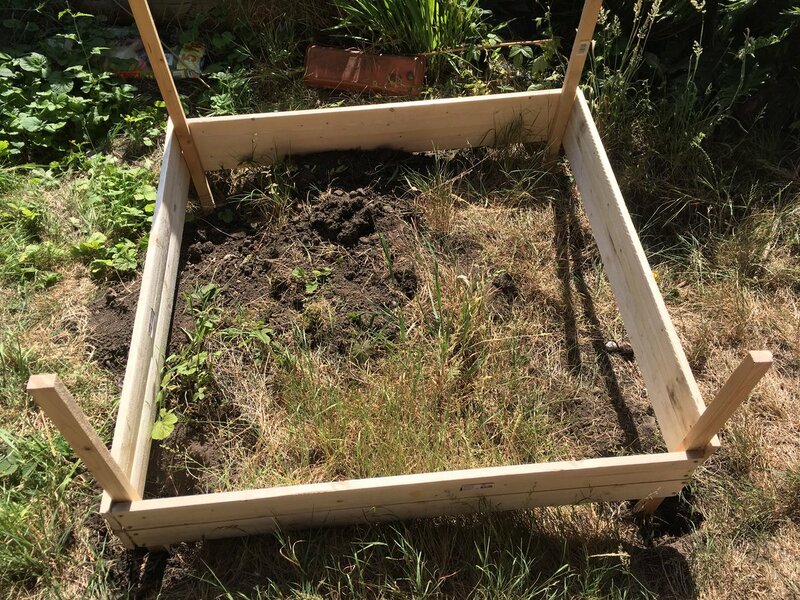 I've made a start on a second raised bed in the garden, just behind the first one which I built over five years ago now. This one will eventually be a memorial garden for those I have lost. Quite a lot of work to do first though, the ground is a bit more uneven in this part of the garden than I thought it was. Postcard from the Past is a wonderful twitter account (and book) which is about old postcards and random snippets from the messages on them. As I recently received two postcards via eBay (included free with something else I had bought) I thought I would scan them and post them here. Unfortunately it would be very difficult to find out more about these messages, did Aunt Mary ever get up again for example? 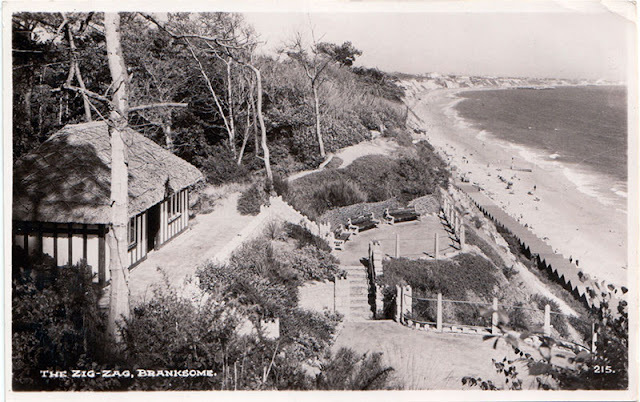 First off a postcard from Branksome posted in 1950, a simple holiday message: "We are having a nice time and weather up till this week." Secondly from Westcliffe-on-Sea in 1908: "I am sorry to hear that dear Aunt Mary is not yet able to get up"
When, earlier in the week, I decided to go to Leighton Buzzard I didn't even know there was a narrow gauge railway in the town. Obviously it became the focal point of my visit. The Leighton Buzzard Railway is great, winding through the outskirts of the town and up to a former quarry. I've always liked narrow gauge railway (of course my model railway is one), especially the sometimes strange little diesels used on mineral railways. Lots of those kind of loco were on display on the railway plus some rather lovely German built steam locomotives. You can see my photos here. A pair of shunters (Gronks) running around their train at Bewdley. Lightships are basically mobile lighthouses. They are used in waters where it is impractical/impossible to build a permanent lighthouse. Lightships have been in use around British waters since 1734 and a number are still in use around the coast. These days lightships tend to be unmanned though previously were crewed. A number of older lightships still survive as preserved boats and are dotted around British waters. 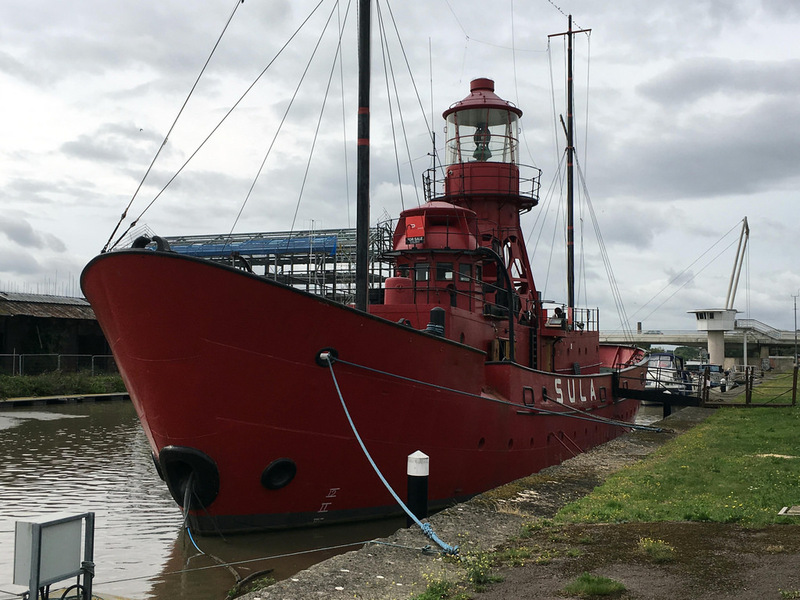 One of them is Lightship Sula which once served at Spurn Head off the Humber estuary. 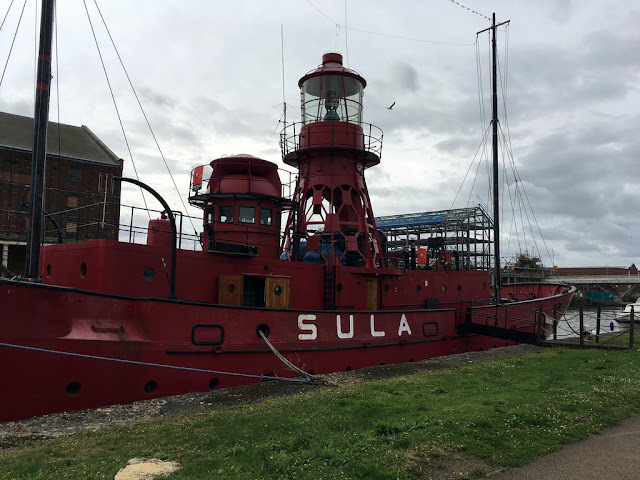 Sula was decommissioned in 1985 and has had a varied life since in retirement including being the headquarters of a yacht club and an alternative therapies centre. Now it is moored at Gloucester Docks. 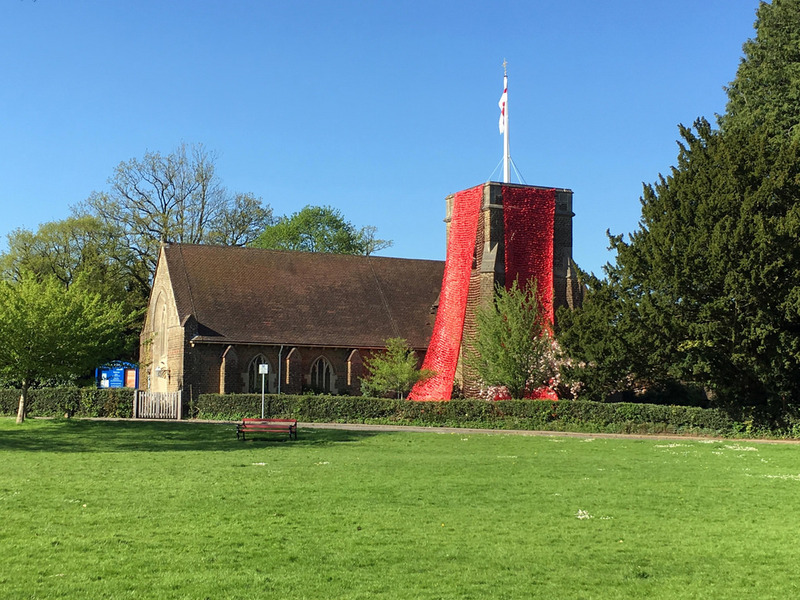 The Church of St Christopher in Haslemere is an early twentieth century Anglican church built as the Surrey town expanded westwards following the arrival of the railway. 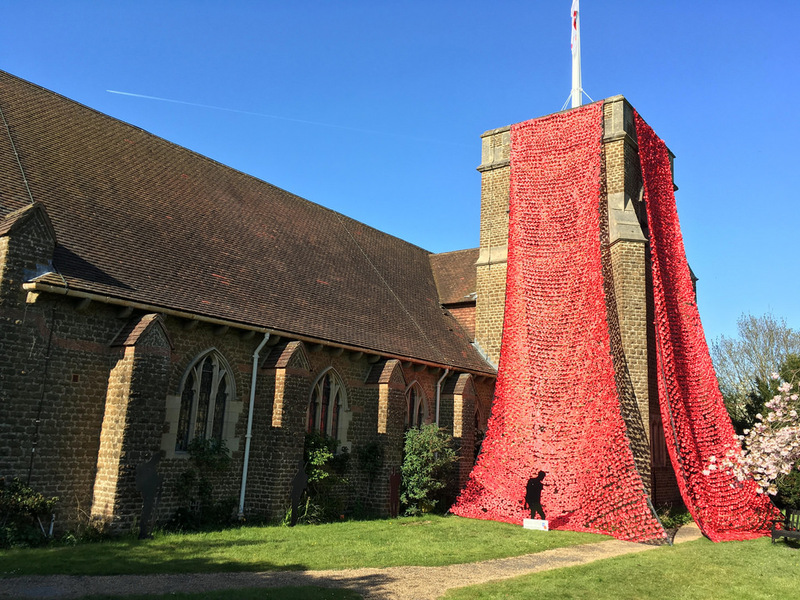 The church was consecrated in 1903 though not finished until the following year. It was designed by Charles Spooner and built to the Free Late Gothic style. The church was built mostly out of bargate stone and is a nearly perfect rectangle. The interior draws heavily on the Victorian Arts & Crafts movement (of which Spooner was a member of). A chapel was added to the North in 1935. 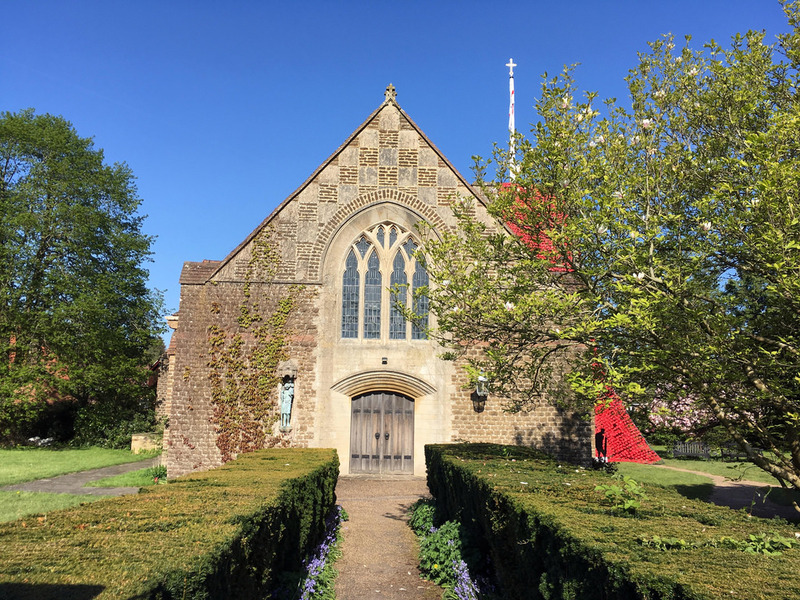 Unusually the church was built by Haselmere Builders - owned by a Quaker who operated the company on a co-operative profit share basis. A Cross Country train departs Stamford. As the car was at the garage for it's MOT I was not at work today. Instead I went on a long canal walk along the Grand Union Canal between Lapworth and Hatton. A very nice walk it was too though maybe slightly further than I thought it would be. Southern Warwickshire is one of the most wonderful places in the world and walking a canal through countryside is one of the best ways to see it especially when you suddenly spot over a hedge a beautiful old farm house (see photo below). You can see my canal photos here. I also took some photos at Hatton station which are here. A train arrives at the newly re-opened Kenilworth station. I've decided to create a Google Map of all the places I have visited in the UK this year. I just thought it would be interesting to see where I visit a lot and where I need to go more often. Obviously there are time constraints in play if just going away for a day. I tend to avoid places more than two hours away by train and prefer no more than an hour if possible (longer distance trips are possible with overnight stays of course). Anyway you can see the map here. I shall endeavour to keep it up to date. 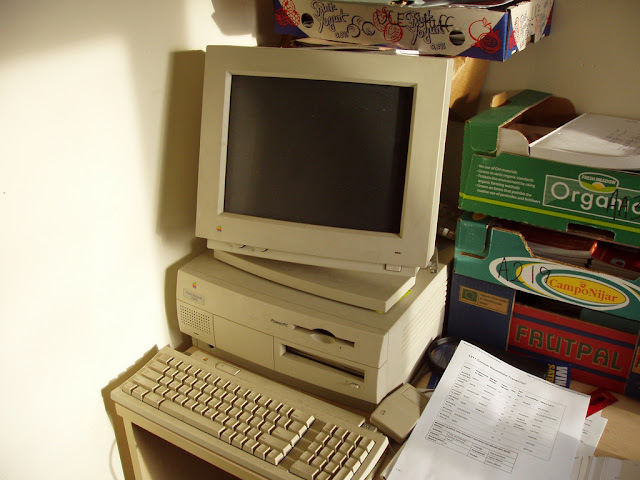 The Macintosh IIci which was on sale between 1989 and 1993 was a more powerful version of the earlier IIcx and indeed was the most powerful Macintosh for some time. It had a 25Mhz 68030 CPU and at least 1MB of RAM. Now these do not sound much nowadays but back in the day it was a pretty good spec. It came in a very nice compact case which remains one of my favourite Apple Computer cases. The top is easily removable so you can get at the innards and perform repairs or upgrades. A far cry from today's super locked down units. I'd love a modern Mac in such a case to be honest. The Dyke in High Wycombe is an artificial lake created by the flooding of an old road within the former grounds of the Wycombe Abbey School. 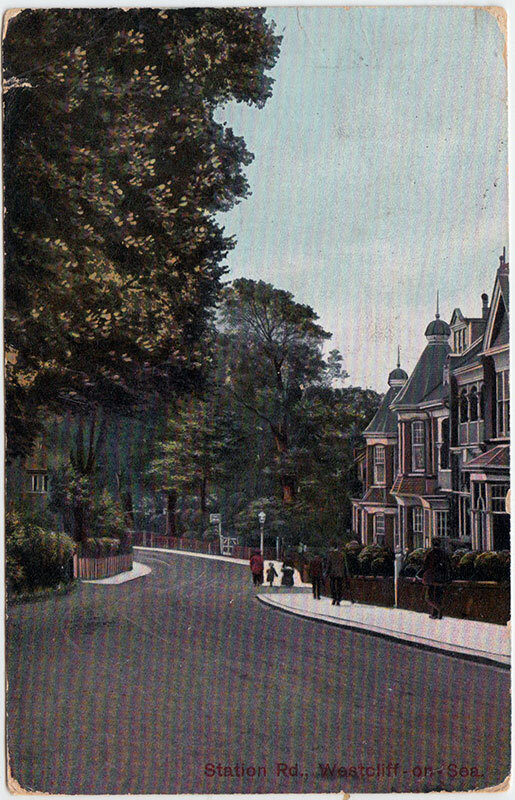 The Dyke and a wooded area next to it was donated to the Chepping Wycombe Corporation (later the council) by the Marquis of Lincolnshire in 1923. The Dyke is fed by streams and has a separate watercourse to the adjacent river Wye. Now the Dyke is a haven for nature and also used by pleasure boaters and people enjoying a walk! Little Kimble is a delightful village in Buckinghamshire. It is close to the Prime Minister's official residence Chequers and you can understand why they chose this part of the world, the Chilterns is pretty wonderful. 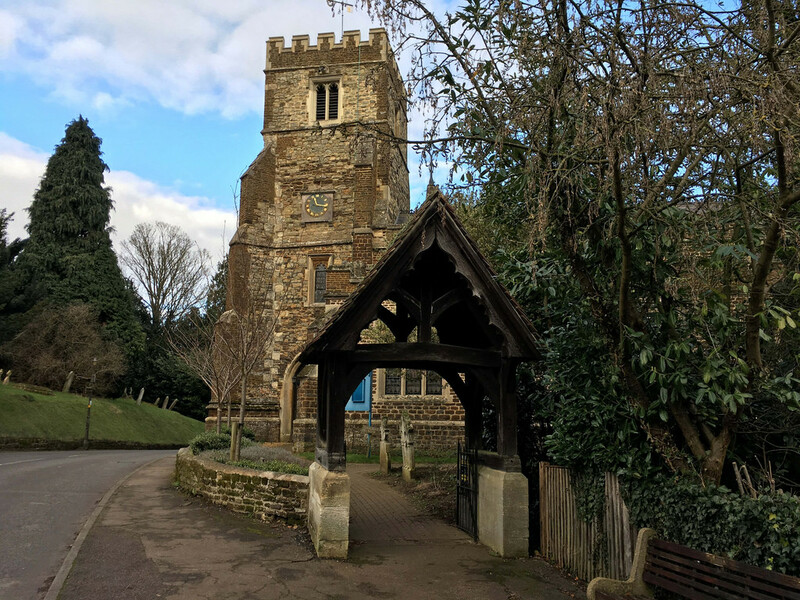 Today I travelled to Little Kimble and then walked back to Monks Risborough (another lovely village) before taking the train back to Princes Risborough. A visit to three great places in Buckinghamshire then. You can see my photos here. Another video from the National Tramway Museum, a Chesterfield Corporation tram at work. As well as Golden Age detective novels another literature love of mine is the spy novel, especially those by John LeCarré and Len Deighton. A few weeks ago I read the latest by the former, A Legacy of Spies. The story acts as a prequel to The Spy Who Came in from the Cold as well as a way of wrapping up the George Smiley saga which of course was at it's height with the peerless Tinker Taylor Soldier Spy. The story involves old skool spying: dead letter drops, surveillance, micro dots, double agents. Set in Berlin just before and after the raising of the wall. 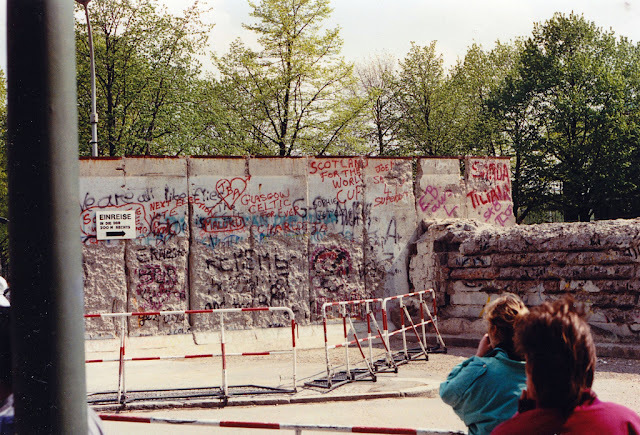 It was a bleak time for Europe, so many human tragedies amid the brutality of the Cold War. The superpowers jockeying for position, endlessly testing each other's will and resolve. The threat of nuclear obliteration a very real one. My early years were spent under that spectre like so many people. Maybe that is one of the reasons I like these spy stories so much, a kind of nostalgia! The book isn't perfect but is a fitting way to tie up so many threads, if you read it I highly recommend (re)reading The Spy... first though! The PowerMac 7200 was one of the second generation PowerPC powered Macintoshes. It was introduced in 1995 with a PowerPC 601 CPU. The 7200 was a decent machine with CD-ROM, capable of running MacOS 7.5.2 up to 9.1 (though sometimes a bit slow on later OS releases). It came in the dull beige case common to Apple in the 1990s before the iMac and everything went colourful (for a bit anyway). My 7200 was a work station at my first employer Tw2, used for producing web sites. Later it became a dedicated printer workstation. I rescued it when Tw2 went bankrupt. Mainframes in the 1960s and 1970s such as the IBM 360 were huge complicated systems which filled large rooms. Some even had smaller (in relative terms - still large compared to the average machine now) computers to help them with the amount of information that was needed to be sent into them from a number of sources. These computers were known as Front End Processors or Communication Controllers and they handled data communications allowing the mainframe to concentrate on the jobs at hand . The IBM 270x family, of which the 2701 Data Adaptor Unit was a member of, was an early example of communication controller and worked with the IBM 360 and 370. The 2701 "greatly expands the input/output capabilities of the IBM System/360"  by helping to interface to and control information flow from peripherals like the IBM 7701 Magnetic Tape Transmission Unit. 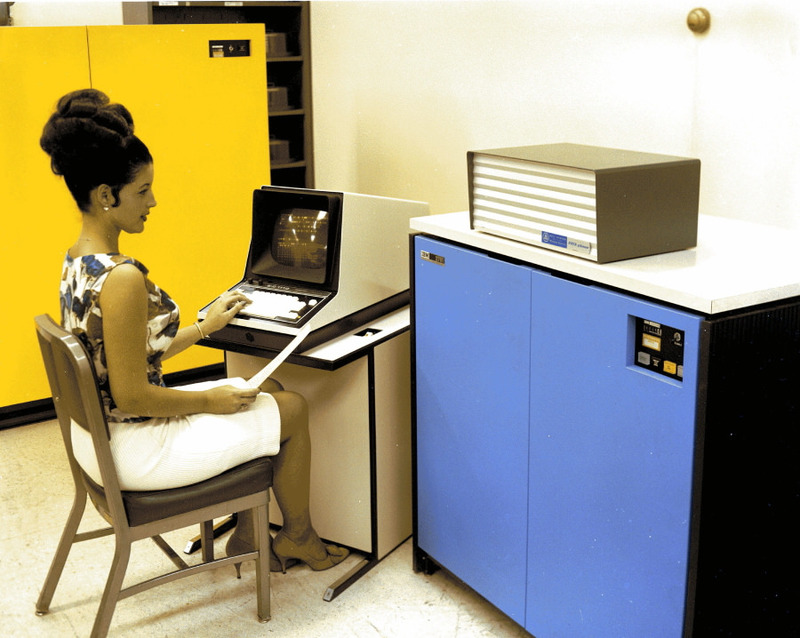 The IBM 2701 was introduced in 1964 and replaced by the IBM 3704 in 1972. Stamford is a delightful historic old town at the Southern tip of Lincolnshire and near to Oakham. The town is full of old stone buildings and alleyways, numerous churches, a rather nice Art Deco cinema and even the remnants of a castle. You can see my photos here.